Designed to ride - with true, one-of-a-kind style. 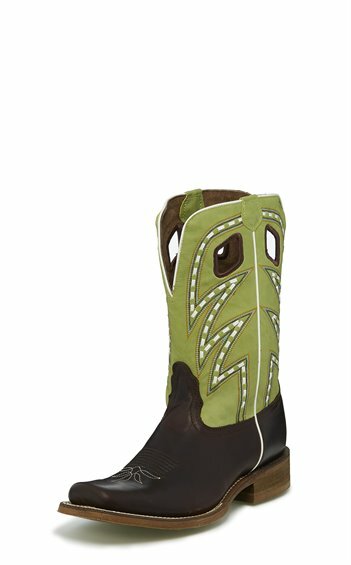 The 11" Volcano boot in Dark Brown from our Hero Collection features a standout Lime green upper with an electrifying stitch pattern. A cushion insole ensures comfort, and the hardworking rubber outsole provides durable flexibility. Featuring a 1 1/8" tapered heel.